Although 30% of the population believe that they have a food allergy, a considerably lower percentage are truly allergic. For those patients who do have a food allergy, however, their allergies can range from being uncomfortable to being fatal. Peanut allergy deserves particular attention. It causes the largest number of severe reactions, presents early in life and rarely resolves, and peanuts are a difficult food to avoid. Saleh Al-Muhsen and colleagues give a comprehensive review of the prevalence of peanut allergy, its characteristics and clinical care, and its natural history. Debates about the ethics of therapeutic abortion (TA) are often passionate, and emotions run high on both sides. Often, scientific evidence is used to substantiate the various arguments for and against liberal access to TA. One important topic is the psychological state of women following TA, with some researchers hypothesizing that TA may be a traumatic event with considerable mental consequences. David Reardon and colleagues retrospectively examined a data set of 15 299 women in California whose pregnancy ended in abortion and compared their rates of psychiatric admission up to 4 years later with those of controls who delivered. Rates of admission were higher for the women who had an abortion. Brenda Major, who is a psychologist, takes issue with the results of the study by Reardon and colleagues, saying that the association seen between abortion and psychiatric admission is most likely to be spurious and reflects unmeasured differences between the 2 populations of women. She maintains that coming to potentially misleading conclusions increases the risk that these results might misinform the public. Severe acute respiratory syndrome, or SARS, is quickly becoming one of the worst epidemics modern medicine has had to face. It is extremely contagious, has a high mortality rate and has proved to be nearly impossible to contain. Experts around the world are working to address this disease (see page 1229) that has deeply infiltrated the world's most populous country, overwhelmed Hong Kong's public health system and is severely testing Canada's (see page 1294). This is particularly true in Toronto, where SARS has forced thousands into quarantine and several hospitals to close. Only time will tell how successful the medical response will be. This issue of CMAJ features several “fast-tracked” SARS articles. Although intense attention is focused on ameliorating the infectious consequences of SARS, the mental duress experienced by the infected and quarantined, their worried families and by health care workers is considerable. Robert Maunder and colleagues report on the psychological and occupational impact of the first 4 weeks of the SARS outbreak at a teaching hospital in Toronto where several patients with SARS were cared for. Toronto is most deeply affected by SARS, but it is not the only Canadian city with diagnosed cases. 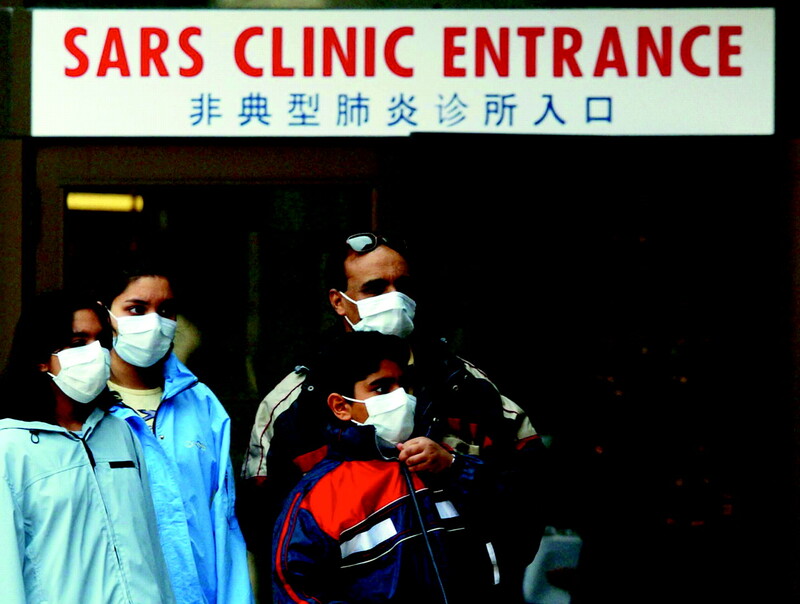 Vancouver health authorities reported an index case of SARS who presented at the same time as Toronto's first case. So why are there not hundreds of cases in Vancouver? David Patrick, the Director of Communicable Disease Epidemiology at the BC Centre for Disease Control, hypothesizes that it was a combination of quick recognition by health staff, health alerts directed at BC physicians for avian flu and atypical pneumonia, and chance that prevented the disease from spreading widely. Although there is no specific treatment for SARS yet, some reports of clinical success in treating the most seriously ill have been attributed to ribavirin, a drug developed in 1970 and previously used in Canada for treating infants infected with respiratory syncytial virus and hepatitis C. Gideon Koren and colleagues summarize the pharmacology, dosing and safety of this drug, and also the emerging data on its potential efficacy against the SARS virus.